As sweet as cinnamon: Sweet Princess! 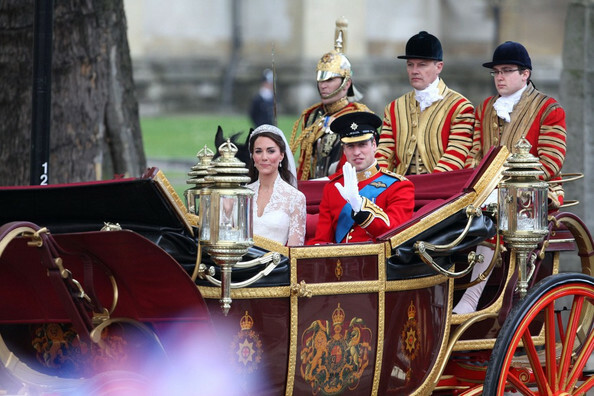 getting married and riding in a horse drawn carriage..
and pagentry of a Royal Wedding. and my Great Grandfather was a Grenadier Guard. in the grounds of Windsor Castle. of her days there... she adored it. So a High Tea party for my little girls was in order last night. complete with Royal Doulton China and little Fairy Cakes. and they loved watching the Kiss and the ride in that ornate carraige. Today they are still excited....playing Princess's again. I just love to see them pretend and enjoy the fairytale. Everyman's life is a fairytale written by God's finger. Such beautiful little princesses they are Dawn! The tea was an excellent idea. How very interesting are those tidbits about your family! Your little princesses are quite gorgeous, Dawn. Lovely little tea party there. What a delighful way to have watched the Wedding. With your own Princesses and High Tea. Kate and William made a beautiful couple. OH not one kiss but TWO. How lovely. Your girls are gorgeous. I to enjoyed the wedding, the dress was beautiful with lace detail. How lovely your little princesses look to, they look like they had a wonderful time. How very special. It was a terrific wedding, indeed. And what a lovely bride! Creo que todas las mujeres tenemos un poquito de princesa en el alma.Tus princesitas son preciosas.Te espero en mi blog,seguro que pasas un ratito agradable.Un saludo. They really are the CUTEST little princesses!!!! HE WAS TALL, even more with his bear skin on. OOOhh Dawn...Royal connections... what fun to keep all the stories alive for your children. How lovely to make such a wonderful memory for your girls to remember the handsome prince and the very pretty princess. Such a simple pleasure, and one that children need in this sometimes harsh world. What fun for all three of you! I loved watching the wedding too... it was perfect. What a sweet memory for the girls. Sadly, the wedding started at 2:00 am here ... we just caught the highlights during the morning news.